Jaundice in babies develops in the first three to five days of life and affects approximately 60 percent of newborns. Most babies are born with a mild case of jaundice, but newborn jaundice often goes away within the first week or two. 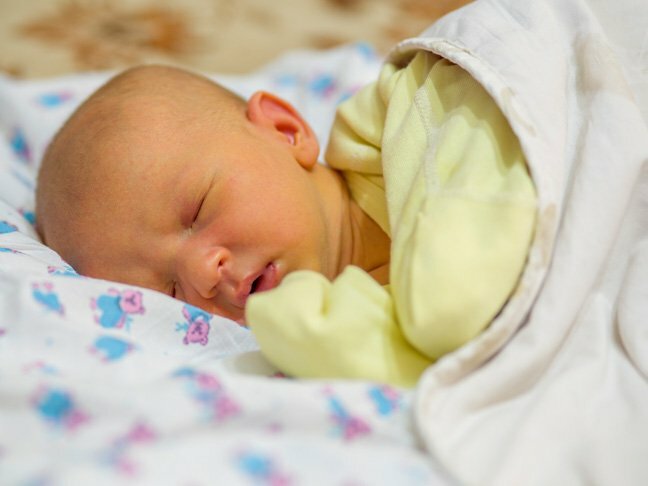 What causes jaundice in newborn babies? Jaundice is caused by high bilirubin levels in newborns and requires immediate treatment. Jaundice in newborns that isn’t treated can lead to brain damage and will result in lifelong problems if the bilirubin levels continue to remain high. The bilirubin is the cause of the yellow color that develops in the skin and eyes due to the breakdown of red blood cells. What is the bilirubin level chart (and what is normal)? The bilirubin level chart reveals normal amounts of bilirubin that should be present in the blood and amounts that are considered to be abnormal. All babies should have higher levels in the first day or two after they are born. Newborn jaundice is diagnosed when the baby’s bilirubin levels are more than 5mg/dL. Treatment is recommended if the bilirubin levels are 15mg/dL in newborns 25-48 hours old, 18 mg/dL in newborns 49-72 hours old, or 20 mg/dL in newborns older than 72 hours. What are the symptoms of jaundice? In most cases, newborn jaundice is not dangerous in babies who are born full-term. The condition can become serious in high-risk newborns, which can cause it to last longer than two weeks. If the level of bilirubin becomes too high, it can begin to affect the baby’s brain cells and can result in the child becoming less active. Seizures, mental retardation, deafness, and cerebral palsy can also develop in rare cases. In severe cases, newborns with jaundice will be referred to a pediatric gastroenterologist. What is the treatment for jaundice? Jaundice is treated with exposure to phototherapy at home or in the hospital, which makes it easier for the body to break down the bilirubin and excrete it from the body. In severe cases, doctors need to remove some of the child’s blood before replacing it with a donor’s blood. How long does it take for jaundice to clear in newborns? In cases of jaundice, newborn babies usually clear up in an average of two weeks.